Dynamatic-Oldland Aerospace™, India, is a partner of choice for agencies of national importance including the Ministry of Defence and Hindustan Aeronautics Limited, as well as international aerospace majors. Our products include the Wing and Rear Fuselage of the India’s Pilotless Target Aircraft - LAKSHYA, the Ailerons & Wing Flaps for the Intermediate Jet Trainer HJT-36 and major Airframe Structures for the Sukhoi 30 MKI Fighter Bomber. 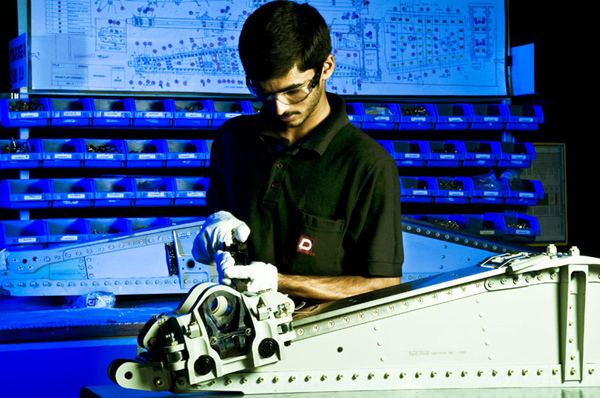 Dynamatic-Oldland Aerospace™ also works closely with EADS and Spirit AeroSystems to assemble Flap Track Beams for the Airbus Single Aisle A-320 Family of Aircrafts on a Single Source basis. This is the first time that a functional aero-structure of a major commercial jet is being manufactured in the Indian Private Sector. 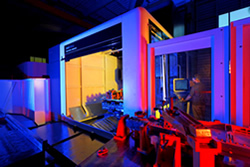 Dynamatic-Oldland Aerospace™, UK, is a unique state-of-the-art Aeronautical manufacturing facility possessing complex 5 axis machining capabilities for the manufacture of Aerospace components and tooling. This high-end precision engineering Company is a certified supplier to Airbus UK, Boeing, GKN Aerospace, Magellan Aerospace, GE Aviation Systems, Lockheed Martin, Agusta Westland, Spirit AeroSystems, UK.